Temporarily strung Mookaite beads. Perfect for jewellers and beaders! 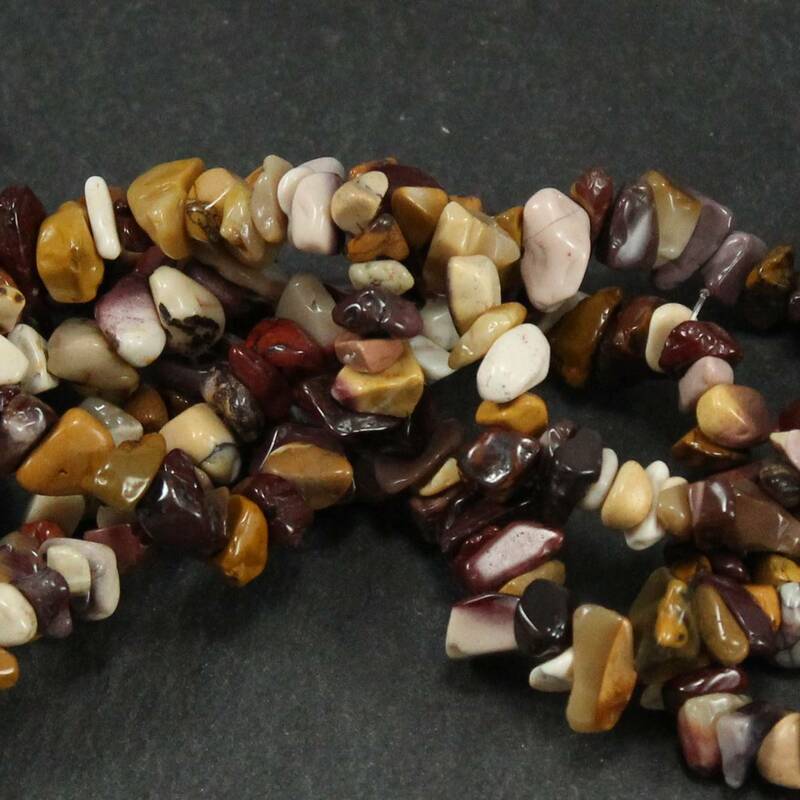 Gorgeous Mookaite beads, which will arrive temporarily strung. This is purely for storage and shipping – you can remove the beads from the string by just cutting a single knot off. These beads are typically various colours – creams, whites, yellows, oranges, reds and browns are common. 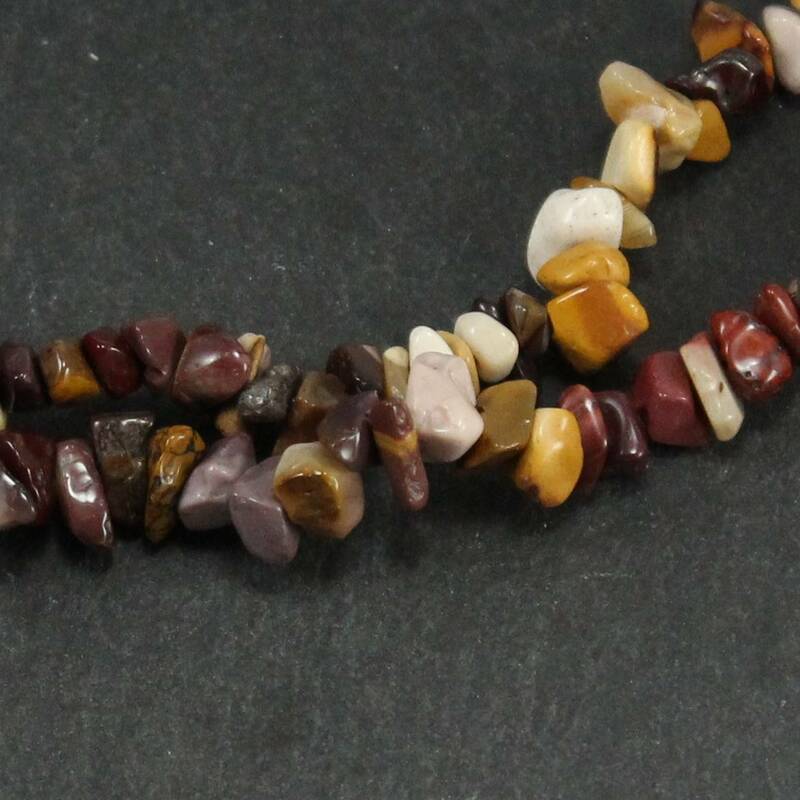 They have a lovely contrast against silver findings, and lighter beads – although this does depend on which colour Mookaite bead! For more information about Mookaite, and a full list of all of our related products, please see our main ‘Mookaite’ section.